Do you have a knack for crafts? Put those skills to use this Valentine’s Day by making that special someone a gift. These crafts are easy to make and are sure to put a smile on your significant other’s face. 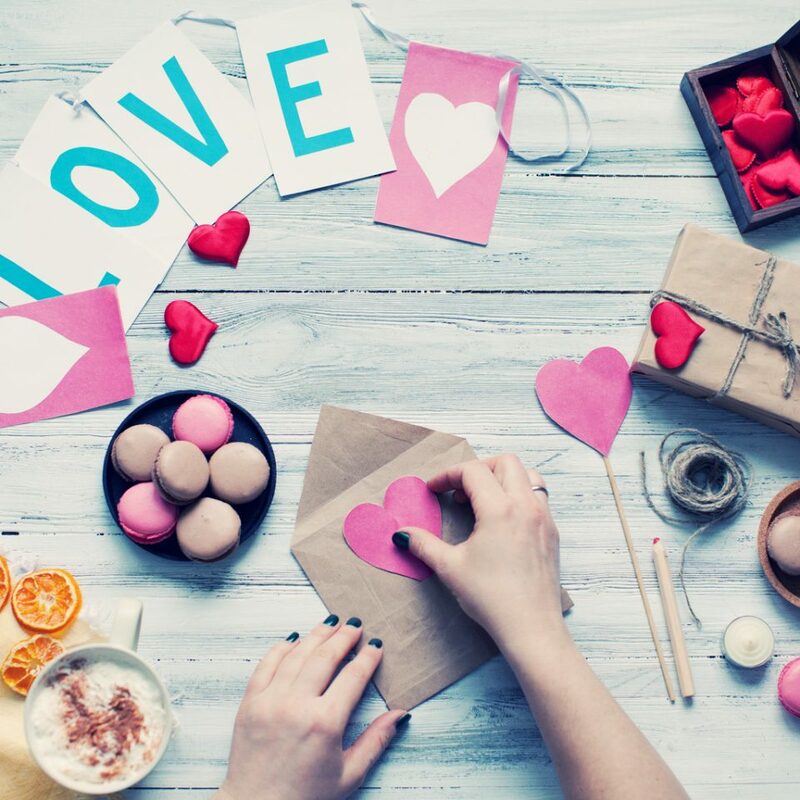 Show your significant other your romantic side with DIY love coupons. Simply use a template to print the coupons and then fill them out. For instance, you can write “This coupon is good for one massage” or “one romantic meal.” Come up with things that your loved one enjoys, and then get ready to score a big win on Valentine’s Day. Start by writing date night ideas on the popsicle sticks. Have your loved one brainstorm with you. Come up with as many ideas as you can and write them on the sticks. Next, decorate your mason jar and cut the scrapbook paper in the shape of a heart. Write “Date Night Jar” on it. Put the popsicle sticks inside and close the jar. The next time you can’t decide what to do, pull a stick out of the jar and head out on your date. This is a great Valentine’s Day gift. Start the process by creating your design. Create a simple heart design with your initials inside of it. Tape it to your candle and then take out your ballpoint pen. Use the pen to trace over the design so it presses into the candle. Next, you’ll need your linoleum cutter. Use it to trace the design. Take out your gold leaf pen and trace over the inside of the carving. Go over it a second time if it doesn’t have the right amount of gold. Let the design dry and then wrap it up and give it to that special someone. It’s the perfect gift for Valentine’s Day to remind you of how much you love each other. Did you know buying a new vehicle can be as easy as making a Valentine’s Day gift? It’s true when you shop at Berglund Automotive in Roanoke, Virginia. We make the process so easy that you’ll be in and out in no time at all.